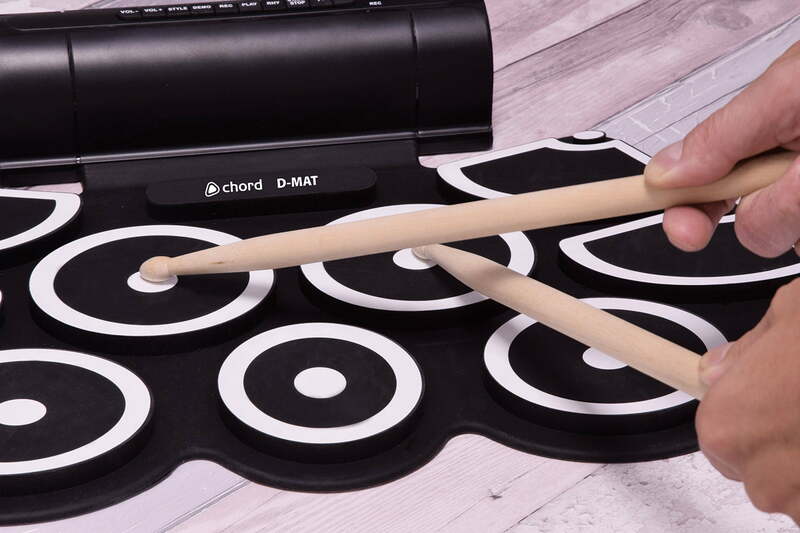 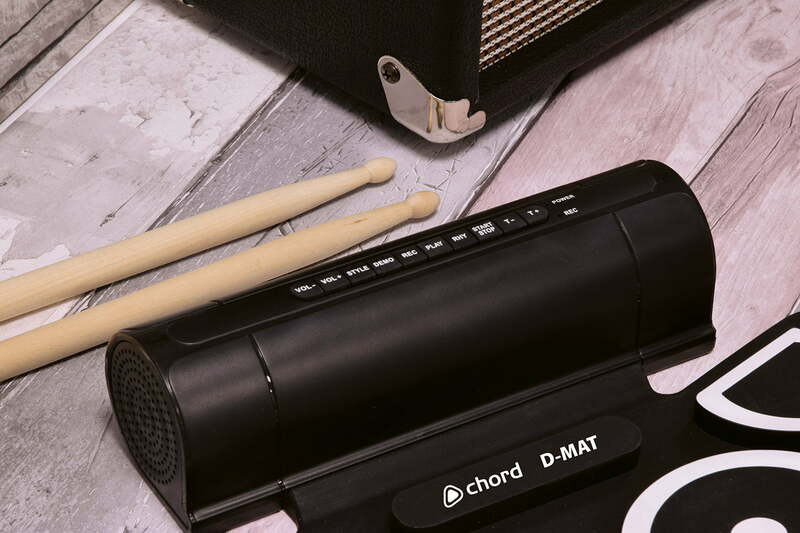 The Chord D-Mat Electronic Drum Kit is a flexible table-top mat with 9 trigger pads for playing with standard drum sticks. 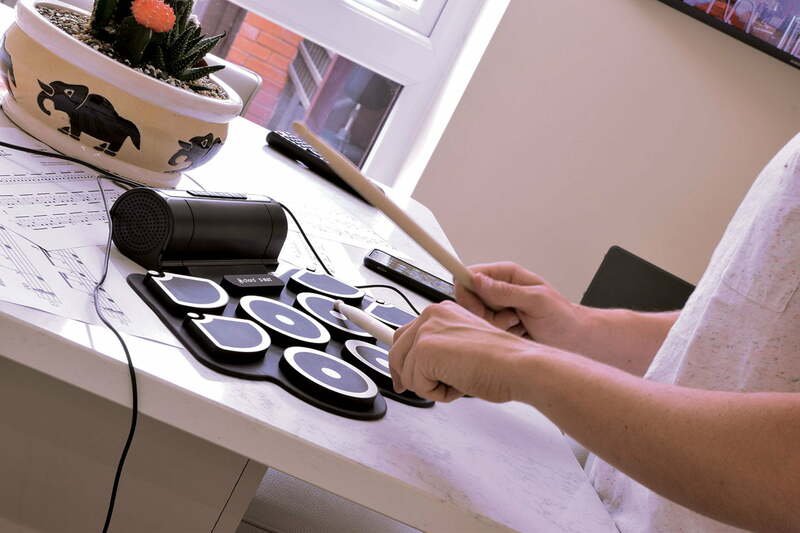 Sections for snare, toms and cymbals form a comprehensive drum kit, which when played produces a realistic kit sound through the integral speaker section. 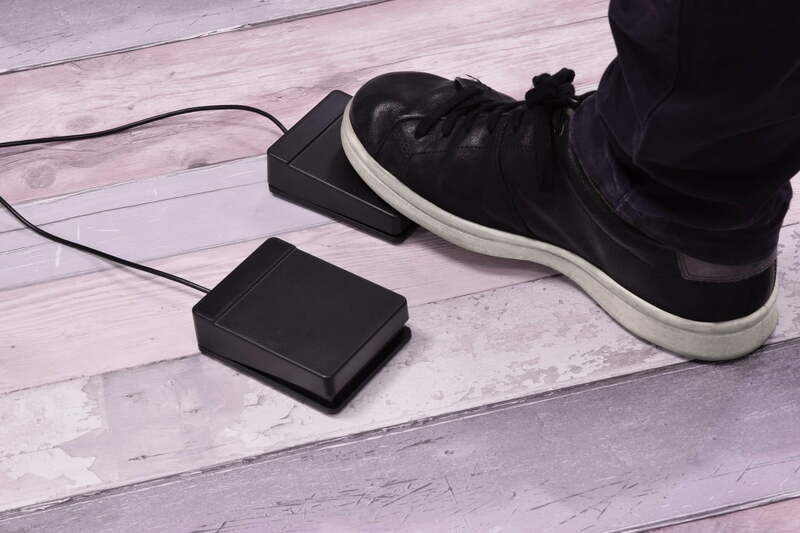 2 pedals connect to the rear panel and operate hi-hats and bass drum to complete the kit. 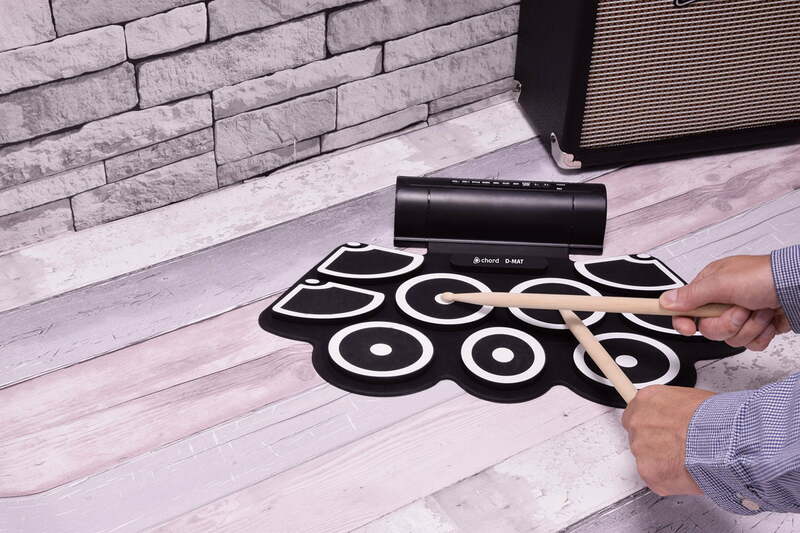 The control section has options for 7 different sound sets with record and playback functions for practice. 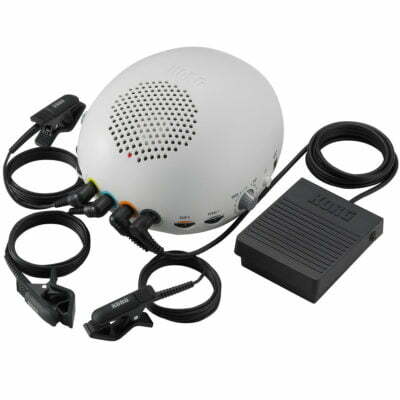 Play along to an audio track via the aux input or practice quietly using the headphone output. 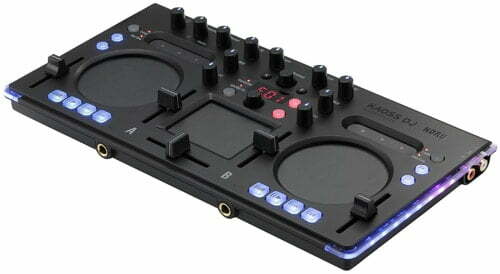 Powered from USB which can also connect to a PC/Mac for MIDI out for a kit you can play anywhere.